There is something powerful about hanging out with extraordinary women--especially the ones who have known you forever. Kristi-G-from-Tennessee is a school teacher. She and her husband, Kevin, were high school sweethearts so we've known him forever too. Kristi has two daughters, is very active in her church and loves the small town she works in outside of Fort Worth. Rumor has it that Kristi paints her toenails school colors during football season and goes to all the games. LC lives in a beautiful part of Texas full of rock and random wildflowers. She's an artist--a very talented one actually. Her husband--whom she met when she was pursuing her doctorate--moved from academic life to working with Olympic athletes. In this group, I'm Barney--a takeoff of my maiden name. LP has two boys and a husband who is a high school teacher. All are avid outdoors people and most of LP's vacation pics have no makeup. (Which as it turns out looks adorable on LP.) Laura teaches at Northlake College a couple of days a week--which suits her schedule given the ages of her children. This weekend was one of the most relaxing I've had in a very long time. We hung out in the hot tub, got pedicures, ate (a lot), laughed and laughed--and laughed some more. We allegedly may have flamingoed someone's house--though I'm not sure standing in Garden Ridge with boxes of flamingos counts as actual evidence. Here I am back home and I already miss you guys. Can't wait until next year. she's the one who started this annual weekend some 14 or so years ago, the one who got so MANY of us all connected on FB, and the one who injects a whole lot of fun and passion into everything she does. 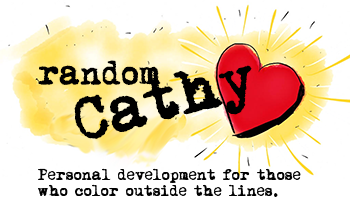 thank you, cathy, in so many ways! One year after we moved to Florida we gave everyone Pink Flamingo Christmas ornaments.